I wasn’t sure I was going to make it through my planned bakes this week. I had them all sorted in my head before I’d even watched the episode and then I started baking and, well… two out of three ain’t bad, right? Then I made a Salmon & Dill Pâté by whizzing together lemon juice, smoked salmon and cream cheese then stirring through some freshly chopped dill. Once the pastry cases had cooled I cut out the tops and filled them with the Pâté and hey, presto! Vol-au-Vents! Then it all got fun. 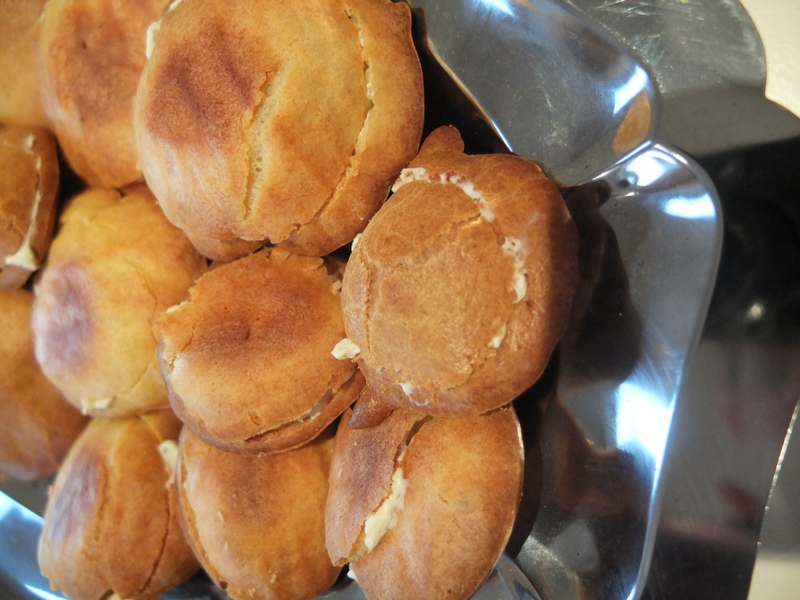 Next up on my plan were Cheese & Onion Profiteroles which rather unfortunately involved making choux pastry. Choux pastry, I can now attest, is *not* my thing. 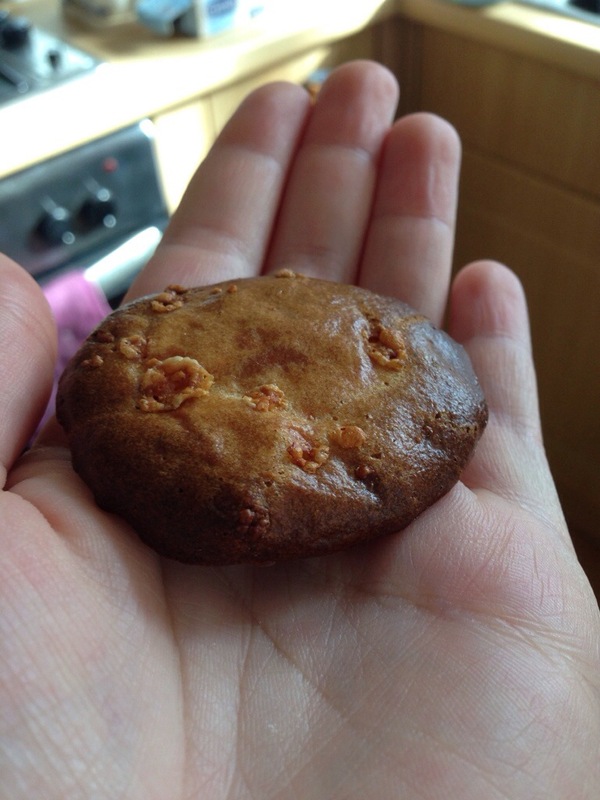 Which looks more like a cookie than a profiterole. Caius ate it though and said aside from the slightly burnt bits, it tasted okay. 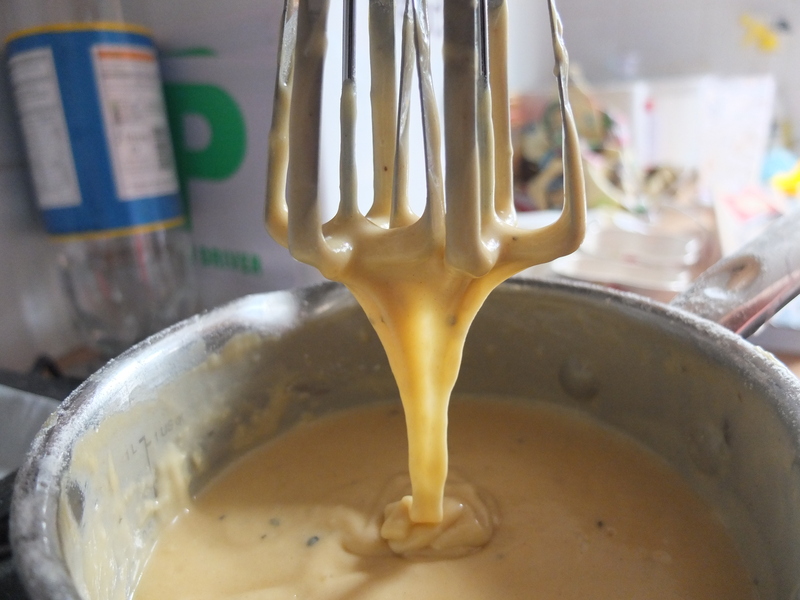 I then dolloped the rest out and it made slightly less runny puddles which puffed up slightly more. I took what I had, cut them vaguely in half and was pleased to find they were hollow enough to fill with onion and herb cream cheese. Again, Arthur ate my spare ones, thus ensuring there was no waste. The final results were more flying saucer shaped than anything else but they were quite tasty all the same. 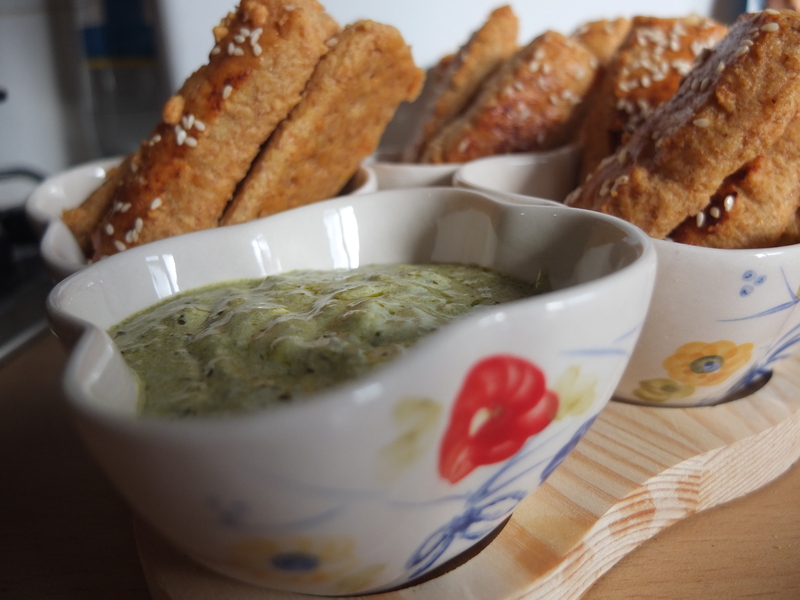 The last thing on my list to make was Cheesy Straws with Pesto Dip and thankfully these were dead straight forward and so simple I think Tori could have made them. Any recipe that involves an entire 250g block of cheese is a winner with me before I start. Arthur didn’t like these though so I had to eat the misshapen ones myself, such a shame. By the end of all this lot my kitchen looked like something had exploded in it and I was so tired I just wanted to curl up on the floor and go to sleep – please tell me next week is easier? Oh no, wait, it’s Finals Week next week. That would be a no to the easy then. 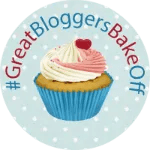 To see the other fab entries on the Great Bloggers Bake Off, nip over to The Crazy Kitchen or Mummy Mishaps to check out the other blogs on the Linky. love the slideshow, your kitchen resembles mine after a bake-up! Lovely canapes. You invented a new canape there I think with those cream cheese flying saucers, you should write the recipe. Bet they still tasted delish. I LOVE the pic of your kitchen post-bake too, glad it’s not just me that ends up with every square inch of surface covered! 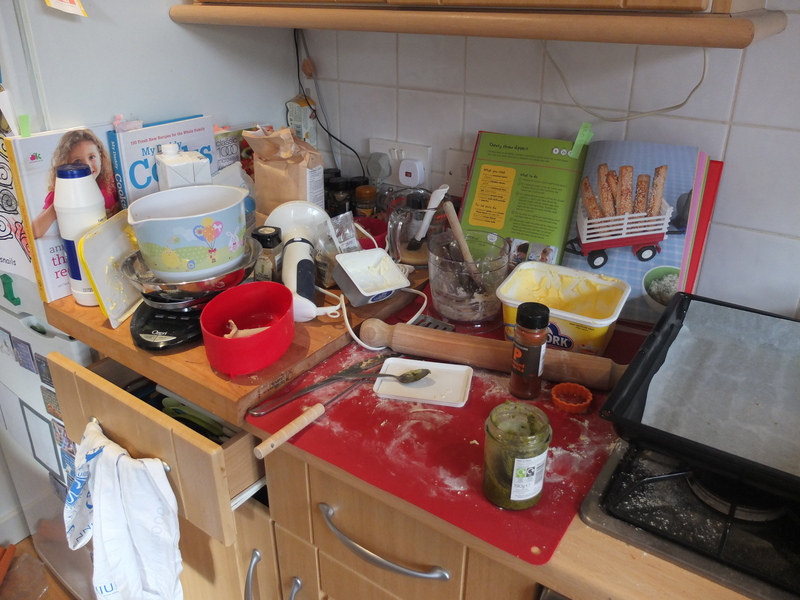 my kitchen ends up like that too…it really is exhausting sometimes isn’t it! I’m glad your choux turned out well in the end…I’m sure next time they will be just perfect! 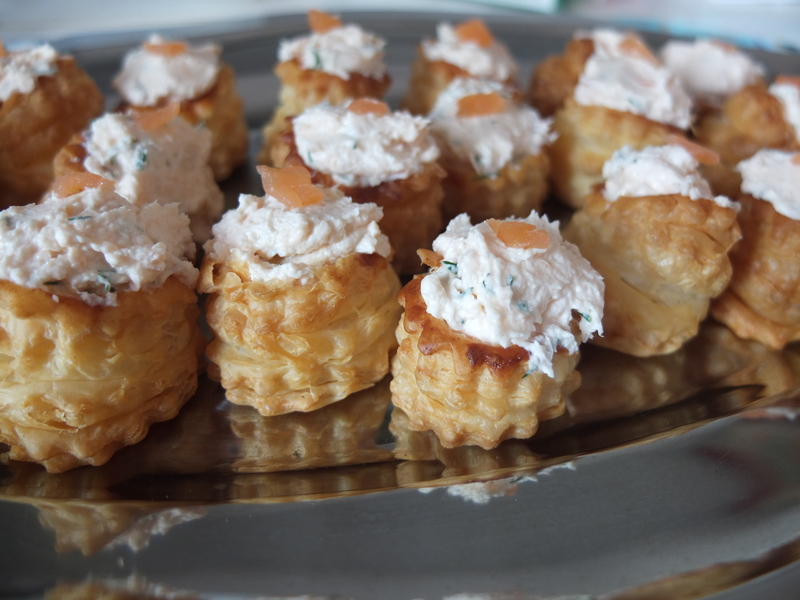 Your vol au vents look great – haven’t had one of those in ages!